We present an efficient interactive identification scheme and a related signature scheme that are based on discrete logarithms and which are particularly suited for smart cards. 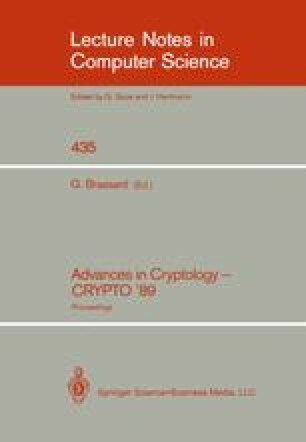 Previous cryptoschemes, based on the discrete logarithm, have been proposed by El Gamal (1985), Chaum, Evertse, Graaf (1988), Beth (1988) and Günter (1989). The new scheme comprises the following novel features.